On the first day of May 2018, DENT has a market value of $0.010237 in US dollar and is equal to 0.00000113 BTC (-3.20%) or 0.00001529 ETH (-2.64%). By looking at the coin market chart, we can see that it has traded down to a negative 4.81%. It has a market capitalization of $108,658,001 USD (11,997 in BTC and 162,253 in ETH). Over the twenty-four hour time frame, Dent has reached the $3,212,230 USD volume, 354.67 BTC and 4,797 ETH. The total quantity supply of Dent is one hundred billion and 10,614,760,961 DENT of it is in market circulation. DENT is ERC20 token launched on Ethereum kind of blockchain. This is the currency for purchasing and selling the mobile data all around the world. Constructing a decentralized network is easier to do with the help of the said blockchain. On the other hand, smart contracts give reliable or scam resistant means of describing the cellular data set and the trading process of it. Dent is also popular because of its mobile Dent application that is obtainable through Android cellular network or IOS. Mobile data can be acquired using the tokens provided by Dent. The bought data can also be sent to any recipient. The one who will receive the data is not required to install the same app. The receiver can use it with or without the said application. A notification through SMS will be sent from the carrier. The recipient will receive an SMS notification from their carrier, informing that the data balance has been raised up instantly. As of now, DENT is associated to USA and Mexico. According to forecast, more places and countries are yet to get connected. What can you do with your excess and unused data? Unused or excess data can now be traded using DENT. According to the published research done by Ericsson laboratory on the first month of this year, many people have left big unused gigabyte data every month. Therefore the demand to convert the data to currency has increased a lot and expected to continue growing in numbers. Indeed, it connects the seller and the buyer of not used mobile data that is already included in the paid data packages. It is a proper place to donate, buy and sell it to other. The user friendly Dent application takes the whole platform to the public. In fact, it has just victoriously finished the test run regarding data trading trial run in cooperation with Hong Kong PLDT. Since December of last year, Dent was listed in Kucoin: the most trusted and convenient platform in the market. Kucoin traders have access on DENT trading pairs. Users can deposit and then trade Dent inside the platform. Kucoin is one of the most preferred exchange platforms not only because of the low trading cost but also the noticeable fast speed transactions time. 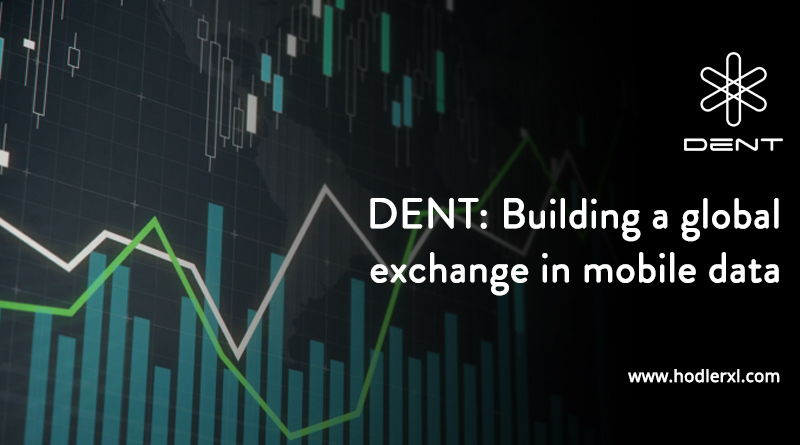 DENT is the first crypto coin absolutely committed in providing a easy mobile internet data trade. The company (DENT Wireless Limited) in back of this electronic coin has utilized the highly effective blockchain technologies to affect the life of tele companies permanently. Today, we can see how much the whole system and currency make sense in our daily living. This project truly changed the normal human way of spending the data, even the means of trading of those. Because of this specific crypto system, any users can now be connected with each other regardless of where they are located across a solid network based in blockchain.